2B serviced prior to handover! The watermaker can produce 60l/hour. The original fixed prop was kept as a spare when the folding prop was installed. The halyard winch is electric. 12 volt, 6 batteries charged by: engine, shore power, generator Additional battery engine charger installed. The vessel is equipped with an extra fridge/freezer. The accommodation is in impeccable condition and the cherry wood interior gives a very warm feeling. New sprung mattress installed in forward cabin in 2017. New Dufour supplied cockpit cushions from 2017. Cable and software included allowing laptop to be used as plotter at NAV station. This also allows passage planning to be done at home and then downloaded into onboard NAV system. 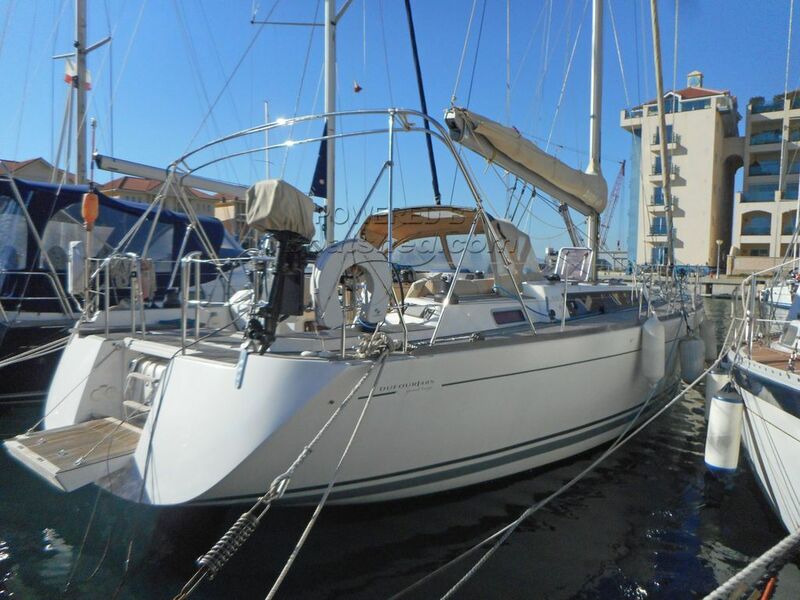 This Dufour 485 Grand Large is in impeccable condition owned from new by two careful owners. Everything about this boat exudes class, luxury and safety. She is equipped for extended blue water cruising with satphone, generator, watermaker and AIS transponder. No expense was spared to make this a dreamboat. This boat has to be seen to be believed. We recommend an early viewing. The vendor has committed to anti-foul, change anodes and service engine and generator prior to handover. This Dufour 485 Grand Large has been personally photographed and viewed by John & Lynda of Boatshed Gibraltar. Click here for contact details.